The story of the annexation. The events that culminated in the departure of an expedition from England, and the establishment of the Swan River Colony, were related by Dr. J. S. Battye, chairman of the State Centenary Committee, yesterday, when referring to the celebration of the State’s centenary this year. The principal factor in the establishment of the colony in Western Australia, said Dr. Battye, arose out of the unfriendly relations between the French and British at the beginning of the 19th century. Baudin had explored and charted a long stretch of the southern coast at that time, and it was rumoured that the French contemplated a settlement at Western Port, near Port Phillip. The rumour was strengthened into belief after the examination of the north and north-west coasts by Freycinet in 1818, and when it was found in 1825 that a further French expedition was cruising about the southern seas, there seemed no room left for doubt. This was the position when General Darling assumed the Governorship of New South Wales towards the end of 1825. This officer immediately took steps to deprive France of the opportunity she appeared to be seeking. Recognising that in case of dispute Great Britain would have difficulty in establishing her claim to the western coast, he suggested to the Colonial Office that a new commission should be issued to him describing the whole of the continent as within his government. This suggestion did not appear to have met with the approval of the Secretary of State for the Colonies (Lord Bathurst), who suggested in March, 1826, that a settlement should be formed at Western Port, and that an examination should be made of Shark Bay, ostensibly for the purpose of establishing a base to which convicts might be sent. “In this way,” said Lord Bathurst, “possession may be gained of a port which it may be hereafter found important to have retained.” In a private communication Lord Bathurst pointed out that he had carefully avoided any expression that might be construed as an admission, if the French were found at Shark Bay, that there had not been pre-occupancy by the British, and Governor Darling was warned to regulate his language accordingly. This advice probably explained why there was no public proclamation of any intention on the part of the British Government to establish a settlement. Later in March Governor Darling was advised to include King George’s Sound in his examination. In his reply towards the end of the year he urged that King George’s Sound was unsuited even for a penal settlement and that Shark Bay was worse. Notwithstanding this expression of opinion, however, he took immediate steps to carry out the instructions he had received so far as King George’s Sound was concerned. As a result, a penal depot, under the control of New South Wales, was established at that place by Captain Lockyer, in December, 1826, and remained in operation until the withdrawal of the convicts in April, 1831. Almost immediately, continued Dr. Battye, after the departure of Captain Lockyer from Sydney upon this mission, the French ship Astrolabe, which had spent some time at King George’s Sound, arrived in Port Jackson. This arrival strengthened Governor Darling’s fear of French annexation, and in his opinion, made the necessity for some definite British settlement on the west coast more insistent. Fortunately, the opportunity of taking the initial steps towards that end was ready to hand. H.M.S. Success, commanded by Captain Stirling, was in Sydney Harbour, and Governor Darling apparently conveyed his fears to that officer. Captain Stirling suggested that, instead of remaining idle at Port Jackson, his ship should be used to make an examination of the Swan River, a locality to which the French had paid particular attention at the beginning of the century. This suggestion was accepted by the Governor and on March 6, 1927, the Success cast anchor off the south head at the entrance to the Swan River. During the next fortnight Captain Stirling and Mr. Charles Fraser, Colonial Botanist of New South Wales, made an exhaustive survey of as much of the river as was navigable by the ship’s boats. The point reached was the junction of Ellen’s Brook with the Swan. 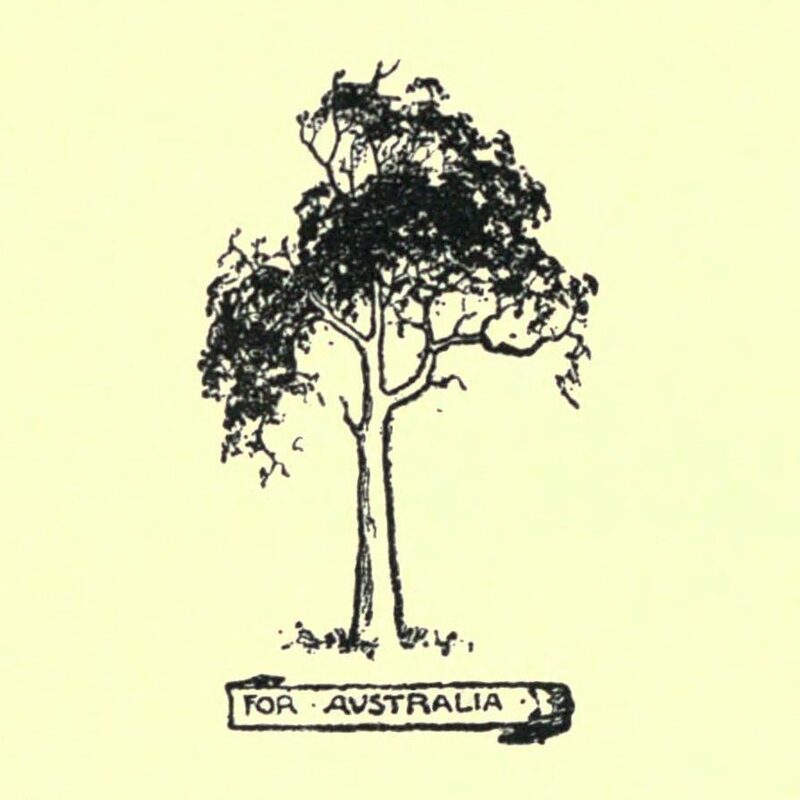 The report made by Captain Stirling on his return to Sydney —a report which was strongly endorsed by Mr. Fraser—was considered by Governor Darling to be so important that he instructed Captain Stirling to convey it with a covering despatch to England. Upon Captain Stirling’s arrival in England the report was referred to the Admiralty for an expression of opinion. The Admiralty, while admitting the physical advantages set out in the report, thought it inadvisable to form a settlement in the West, while so many millions of acres of rich country remained unoccupied on the eastern side of the continent. Doubtless the authorities were prompted by the fact that the fear of French annexation had greatly subsided. Possibly nothing further would have been done but for a reconstruction of the British Government in the middle of 1828. Among other changes Mr. Horace Twiss became Under-Secretary of State for the Colonies. He was apparently a personal friend of Captain Stirling and it was probably through him that Stirling was induced to approach the Government again with the idea of forming a settlement. Stirling in his communication hinted at the possibility of the formation of an association for the purpose of colonisation, but pointed out that nothing further could be done unless the Government definitely took possession of the country and made some arrangements for the protection of settlers. The suggestion bore immediate fruit and H.M.S. Challenger, under Captain Fremantle, left London in November for Swan River. On arrival on May 2, 1829, the British flag was hoisted on the South Head, at the mouth of the Swan River. Although this action settled the question of actual possession, there does not appear to have been at the time the Challenger was despatched, any definite decision to establish a colony forwith. Such a step, however, was decided upon within the following month, and was accelerated by the fact that Captain Stirling’s suggestion to form a syndicate had taken definite form. This syndicate which consisted of Thomas Peel, Sir Francis Vincent. E.W. Schenley and Colonel MacQueen, made certain proposals to the Government under which they were prepared to take out migrants to form a colony provided they received a grant of land commensurate in extent with the expenditure involved. While the offer was not accepted its principles were adopted. At the end of 1828, when the Government had definitely decided to form a colony, the regulations issued by the Colonial Office were based upon the terms set out in the syndicate’s letter. These regulations, which were subsequently known as the “old regulations,” were issued on December 5, 1828, and declared the Government’s intention to form a settlement on the western coast of Australia, but intimated at the same time that the Government did not intend to incur any expense either in conveying settlers to the new land or in providing them with necessaries after their arrival. It was further declared that in the event of the colony’s proving a failure the British Government’ would not consider itself liable for the repatriation of any of the colonists. 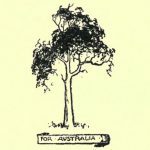 The inducement to persons to migrate was set out in the paragraph stating that it was intended that “No convicts or other description of prisoner be sent to the new settlement.” At that time the only existing Australian colony was New South Wales with its dependency, Tasmania. Both these colonies were peopled by the type specially barred from Swan River, so that colony had the distinction of being the first Australian colony to be settled by free people. Captain Stirling was appointed Civil Superintendent. He had undoubtedly angled for the position of Governor and was not satisfied with the title conferred upon him. His objections were apparently admitted as the title was changed to that of Lieutenant-Governor before he left England. New regulations were issued on January 13, 1829. These differed from the old regulations mainly in the fact that they allowed 10 years instead of 21 years for the necessary permanent improvement to land to secure the fee simple.